AdamMaleBlog - Gay Culture, Art, Music, Humor, and more! : Must Watch!! IFC Shares The Spoils of Babylon Trailer!! Must Watch!! IFC Shares The Spoils of Babylon Trailer!! This may perhaps be the most amazing thing to hit television in the history of mankind! 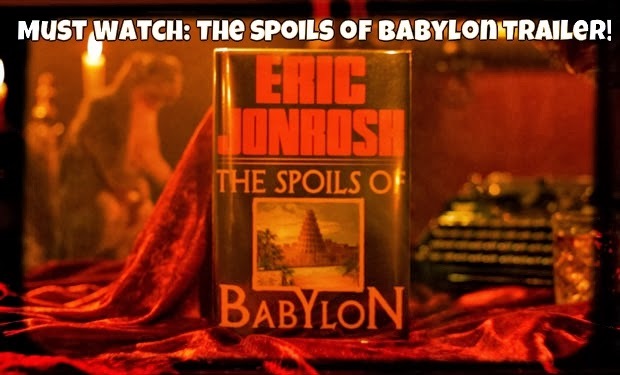 Watch the trailer for The Spoils of Babylon mini-series, it will tell you everything you need to know about what a crazy, over the top show this will be! Starring: Tobey MaGuire, Haley Joel Osment, Val Kilmer, Tim Robbins, Jessica Alba, Kristen Wiig, Will Ferrell, and more! Starts Thursday, January 9th on IFC.